Roasted Almonds Covered in Rich Toffee, then Robed in Creamy Milk Chocolate & Dusted with Powdered Sugar. There’s a lot going on in these chocolates, so take your time and savor each delicious bite. No artificial colors or flavors. Roasted Almonds Covered in Rich Toffee, then Robed in Creamy Milk Chocolate & Dusted with Powdered Sugar in 5oz Bag. *Prices include shipping to the contiguous 48 states. Additional fee applies for shipping to Alaska and Hawaii. Ingredients: Milk chocolate (sugar, cocoa butter, chocolate liquor, whole milk powder, soy lecithin [an emulsifier], natural vanilla extract), almonds, sugar, salt. Made on shared equipment with peanuts, other tree nuts, sesame seeds, egg and wheat-containing products. These are my favorite of the sconza selection. They always make sure their products are of outstanding quality. These are so good! Totally addictive! Chocolate toffee almonds are the perfect compliment of chocolate, crunchy toffee, and nuts. They are delicious outnof thr bag or crushed on ice cream or other desserts. 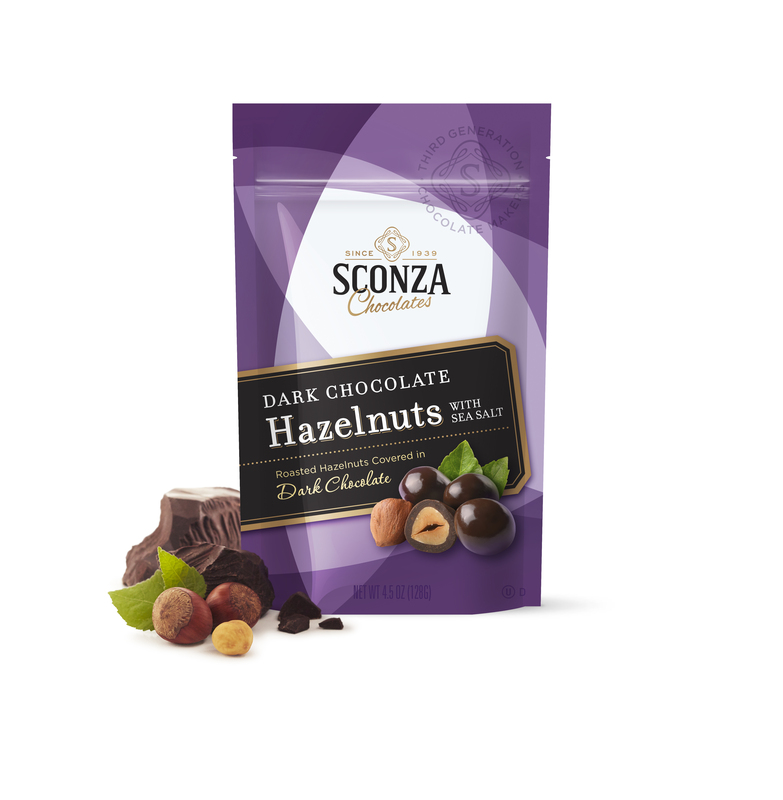 I’m addicted to these almonds – healthy eating is very important to me and Sconza Chocolate Toffee Almonds are my only vice. Almonds were delivered quickly and in perfect shape. The ordering process was easy, they shipped quickly and the candy is delicious! I’ll be ordering the toffee almonds again and will try other candy since these we soooo good!